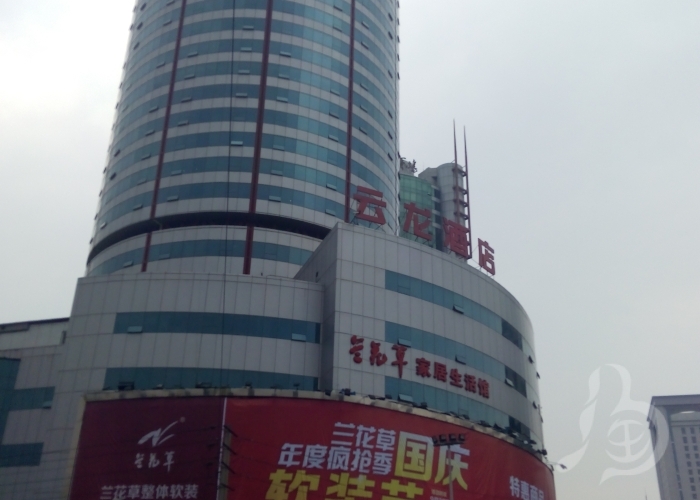 Sichuan Province Yunlong hotel at Chengdu city center dot landmark place, adjacent to the holy land of Buddhism Wenshu and commercial shopping downtown, is the government on business meeting designated reception hotel. Only a 30 minute drive from Chengdu Shuangliu International Airport, Chengdu east railway station, from the train station, about 8 minutes drive from 1, 3, No. 4 subway exit walking 5 minutes, traffic is extremely convenient. After the hotel renovation and upgrading, fashion and elegant, has been "dragon", "cloud", "circle", "edge" for the cultural characteristics throughout the hotel. The hotel has a comprehensive coverage of wireless WIFI Internet service, with luxury suites, deluxe single room, deluxe standard room, standard room, and so on. 8 floor conference center is equipped with six different styles of conference rooms, with a number of auxiliary buildings full range, high-end atmosphere, can accommodate 300 people meeting. 7 floor club KTV is the ideal place for guests to relax. 6 floor "dragon of the edge" banquet hall can accommodate 320 people dining at the same time, eight luxury rooms has authentic Sichuan cuisine features, for guests to provide well cooked delicious food. The 5 floor of Yunlong tea house is the best place for leisure, tea party with friends and loved ones. Whether you are a business trip, leisure travel, hosting the meeting, Yun Long Hotel is your wisdom.